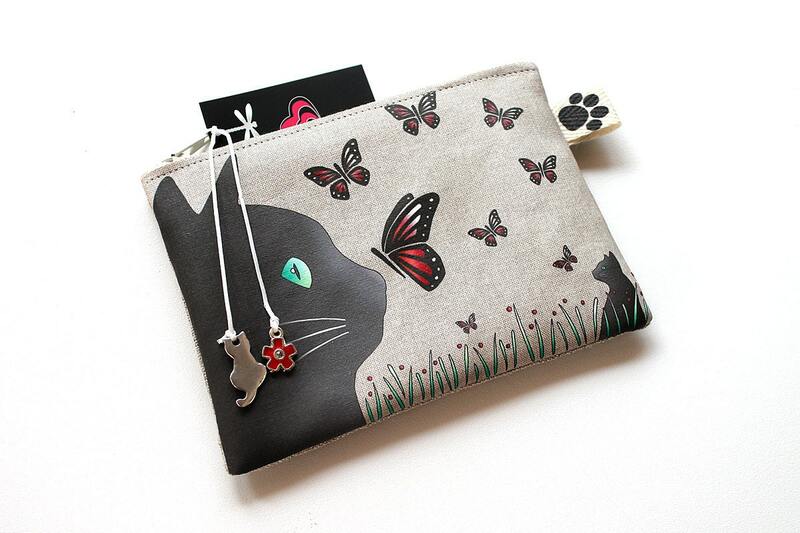 Wallet in illustrated natural linen "black cat and butterflies"
Wallet with original illustration "black cat and butterflies" printed on the front and back in natural linen. 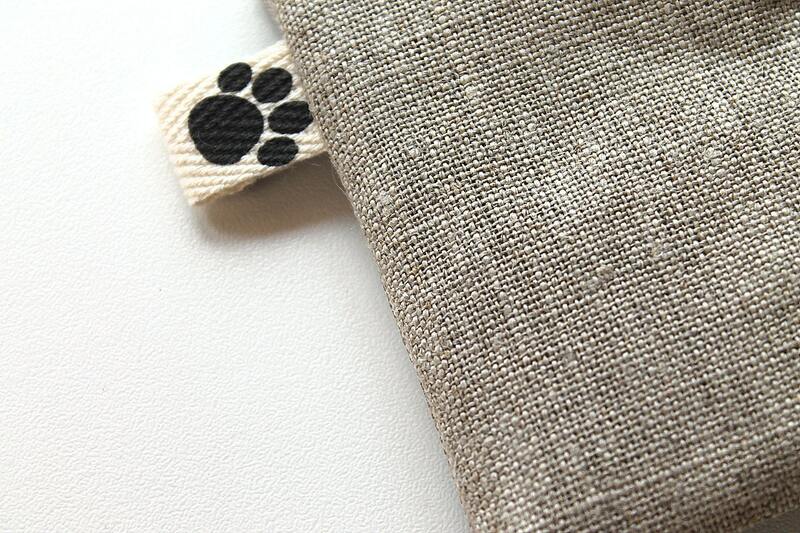 Little Ribbon in ecru cotton print on the side cat's paw. Zipper. 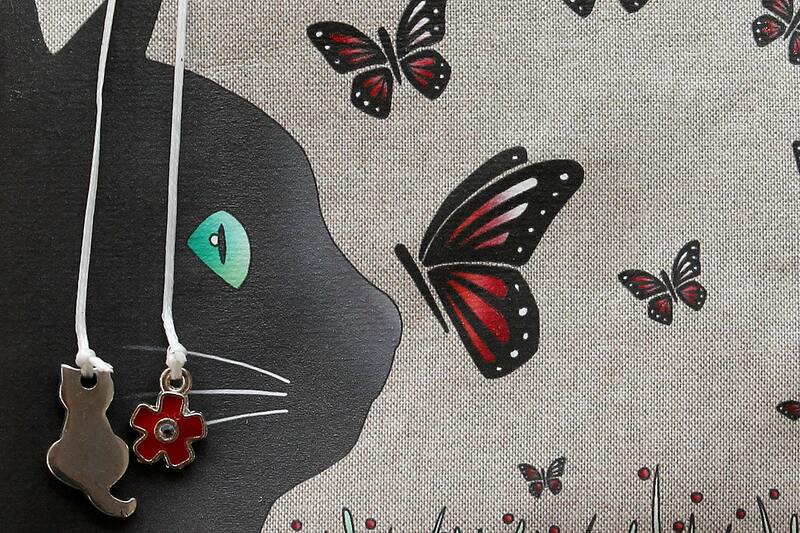 Red flower and cat aged to finish silver metal charms.